Enharmonic Harmonics retunes the guitar to the microtonal tuning of ancient Greece, which was known as the "enharmonic genus". This performance took place at the soundSCAPE Contemporary Music Festival in Italy, June 2016. Anois 's' Aris, written in collaboration with Judith Ring, was originally composed for the delicate medieval psaltery. In this guitar arrangement, Ben has tranformed the work into a dramatic performance piece. Enharmonic Harmonics and Anois 's' Aris are available now on Ben Dwyer's CD/DVD Knowing/Unknowing from Farpoint Recordings. In June and July 2008, the Contemporary Music Centre ran a two-part interview featuring myself, Dylan Rheinhardt and Donal Sarsfield in conversation with Bob Gilmore. Transcripts of the interview and longer excerpts in mp3 format are available from the CMC website. New Music Alive! was an education initiative from the CMC and Dublin City Council to teach contemporary music in Dublin's inner-city primary schools. The project began in 2008-09 when it was accompanied with a workbook and other web resources for teachers, which are available here. This interview marked the start of the projects second year which focussed on electronic music. A performance of my 60-second guitar quartet Hairy T at the soundSCAPE Contemporary Music Festival in Italy, June 2011. This miniature composition for guitar quartet, written entirely on the natural harmonics of the guitar strings, was performed at the soundSCAPE Contemporary Music Festival in Maccagno, Italy in June 2011. CoMA Yorkshire prepared an installation using motion-sensors (SoundBeams) to trigger samples of extended gamelan techniques. In this performance, students from the Northern School of Contemporary Dance activate the SoundBeams through live improvisation. 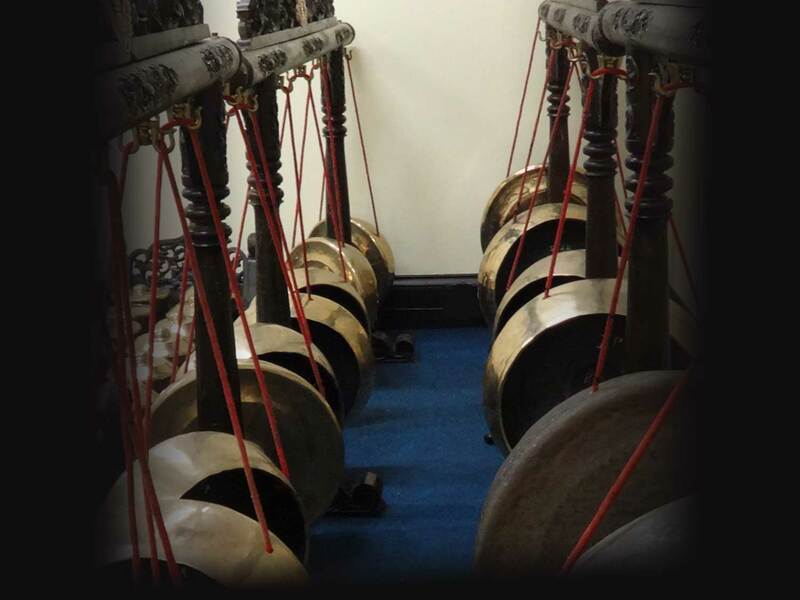 The installation was created by CoMA Yorkshire in collaboration with Gamelan Sekar Petak, The Northern School of Contemporary Dance and leading Soundbeam practitioner, Grainne McHale. After CoMA had recorded their own extended techniques for gamelan, the samples were edited and processed and loaded into Soundbeam. The motion sensors react to the dancers' movements with short bursts of sound, 1-5 seconds in length. Beneath all that, the dancers can trigger longer "soundscapes", 60-90 seconds in length, by stepping on the floor pads as they move. This improvised performace took place in York, May 2008. Written and directed by Brian Murray, starring Noel Healy and James Reid. Music by Peter Moran. The premiere performance of Puca, given by the University of York Jazz Orchestra.